Greg Hackenbracht is the president, founder, and owner of Tastee Apple, Inc.,. He grew up beside the 4,000 apple and peach trees on his family’s property, Hackenbracht Orchard, in the small, historic Village of Newcomerstown, Ohio where he lived, ate and breathed fruit. After graduating from high school in 1973, at the start of economic recession, Greg faced very few prospects for employment, and college money was in short supply. But his father, John, had the perfect solution. 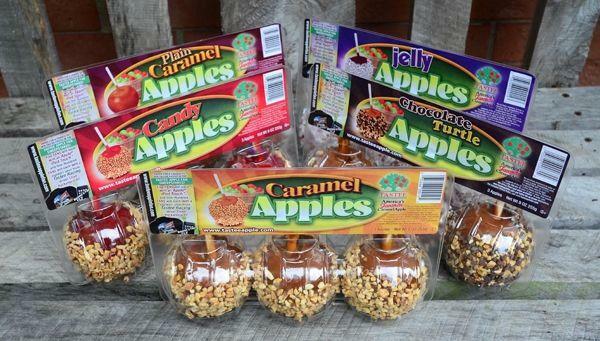 They could start a caramel apple business where Greg could work six months out of every year and go to college the other six. Tastee Apple, Inc. was officially born. 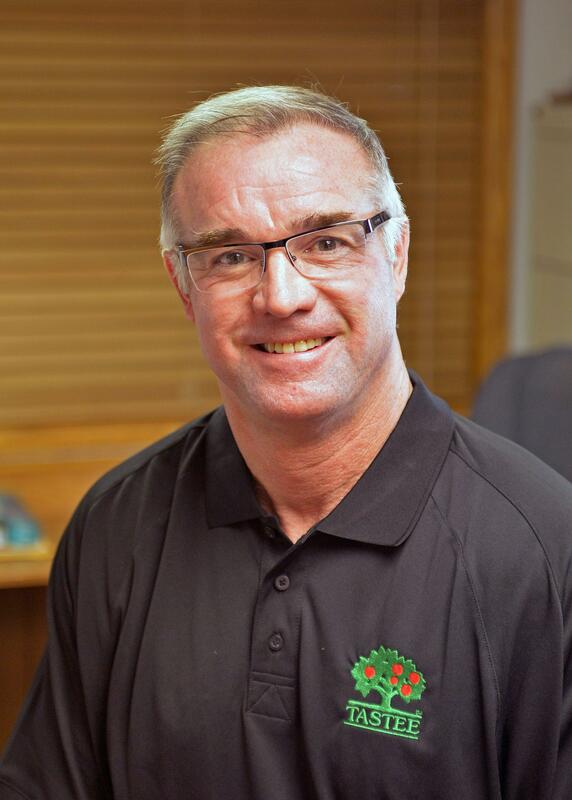 After receiving his Bachelor of Science in Marketing/Marketing Management from Bowling Green State University in 1979, Greg eagerly joined Tastee Apple, Inc. on a full-time basis. During his first, 12 to 15 years with the company, he worked tirelessly, often sleeping in a chair at the plant during the company’s busy season. Greg’s hard work paid off as he helped turn a simple, start-up into the largest, caramel apple producer in the U.S.
With over 40 years in the specialty-apple processing business, Greg has experience as a member of The National Apple Month Committee where he was the chairman for five years, and he sat on national, marketing boards designed to increase the consumption of apples. In addition, he worked with retail grocery chains and produce distributors to become the leader in innovating packaging and customer service. Through Tastee Racing, Greg has even owned and operated a NASCAR-style race team on a national level. Greg founded Tastee Apple, Inc. with a customer service and solutions-oriented approach. He has spent his life constantly looking at how to give consumers the best products and most positive experience possible. Today, you can usually find Greg at work overseeing the creation of his family-recipe caramel, candy and chocolate-coated apples or talking to customers. But when he’s taking time off, he likes to be with his wife Susan and three children, Kyle, Katie and Chad. Visit Greg Hackenbracht for more information. This entry was posted in Award, honoree, Recognition and tagged apple tree, Caramel Apple, entrepreneur, family business, family man, family recipe, father, founder, Greg Hackenbracht, husband, Inc, National Apple Month, Newcomerstown, Ohio, ownership, peach tree, small business, Tastee Apple, Tastee Racing, Today's Honoree. Bookmark the permalink.